More powers have been returned to Rotherham Council after they were taken away following the child exploitation scandal. The authority has been under government control since February 2015 because of its handling of abuse in the town. A report by government-appointed commissioners said the authority had since shown "steady improvement". The council can now control waste management, HR and community safety - but not children's services. Domestic violence services, part of community safety, will still be overseen by commissioners, said Communities Secretary Sajid Javid. Rotherham Council was put under government control following an independent report by Professor Alexis Jay which revealed 1,400 girls had been sexually abused in Rotherham between 1997 and 2013. Police and council chiefs were criticised for failing to take action. Several people resigned in the aftermath, including council leader Roger Stone and Police and Crime Commissioner Shaun Wright. The council was taken over in February 2015. Communities secretary Sajid Javid said: "Rotherham Council is continuing to make progress under the watchful eye of our commissioners and the return of additional powers to Rotherham reflects this progress. "However, the commissioners will remain in place and continue to work with the council to help restore full democratic powers." The intervention is expected to end on 31 March 2019. Until then Mr Javid will continue to receive three-monthly reviews from commissioners. Taxi licensing, education, public health and leisure services had previously been returned to council control. 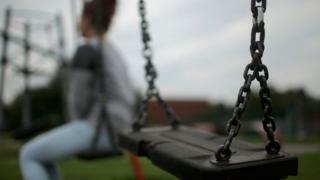 Rotherham Council leader Chris Read said the council was on the "right track", but added that although "significant improvements have been made in children's social care... we are clear there is still more to do".